Nina C. Oksman joined Ween & Kozek as an Associate in 2015. Ms. Oksman focuses her practice primarily on housing, tenants’ rights and the Loft Law, and regularly works on matters in the areas of art and media, civil rights, employment, and contract law. Before joining Ween & Kozek, Ms. Oksman gained valuable landlord/tenant litigation experience and insight at a firm representing landlords. In joining Ween & Kozek, she found her way back to her roots, representing and advocating on behalf of tenants and artists. 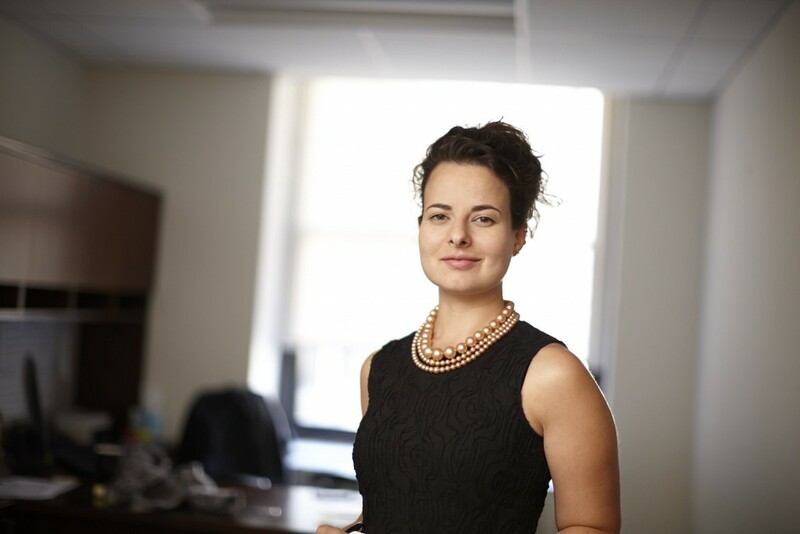 She previously worked as an associate for a boutique foreclosure defense firm in Brooklyn and as a law clerk for Judge Alex Calabrese at the Red Hook Community Justice Center, a multi-jurisdictional, “problem solving” courthouse serving the Red Hook neighborhood of Brooklyn. During her clerkship, she conferenced housing court cases with NYCHA tenants, participated in all aspects of cases with at-risk youth and drug court defendants, and contributed to a published decision about evidentiary issues relating to SCRAM ankle monitors. Ms. Oksman handles all types of pre-trial litigation from initiation to disposition, and has appeared and argued motions in courts and administrative venues throughout the five boroughs and the greater New York City area. Ms. Oksman has shown a meaningful commitment to social justice—working with the Volunteer Lawyers Project of the Brooklyn Bar Association, representing clients at risk of losing their homes during the foreclosure crisis, and supporting artists and art-related non-profit organizations with their legal needs through Volunteer Lawyers for the Arts. She has also served as a legal fellow with the Legal Aid Society where she advocated on behalf of indigent defendants in criminal matters. Ms. Oksman graduated Brooklyn Law School. During law school, she earned the Brooklyn Law School Public Service Award and contributed research to the article The Changing Shape of Federal Pretrial Practice: The Disparate Impact on Civil Rights and Employment Discrimination Cases, 158 U. Pa. L. Rev. 517 by Professor Elizabeth Schneider. She received a Bachelor of Arts in the Liberal Arts at SUNY Purchase College where she was a Presidential Scholar and on the Dean’s List. At SUNY Purchase, she “made up a major” encompassing Philosophy, Women’s Studies, and Photography. Ms. Oksman is a lifelong New Yorker, born and raised in the New York City area, and currently living in the Prospect Heights neighborhood of Brooklyn. She regularly volunteers at Housing Conservation Coordinator’s free legal clinic fielding questions on housing-related legal issues. When not hard at work, Ms. Oksman enjoys road trips, photography, and discovering new neighborhoods by bike. Wang & Associates, LLC v. Location, Location, Location, 2016 WL 6561318, (Civ. Ct., NY Co., Housing Part, July 21, 2016) (dismissing nonpayment eviction proceeding with prejudice on the grounds that the building lacks a certificate of occupancy as required by the Multiple Dwelling Law).